The FJMC Convention 2017 will be from July 19-23 at the Marriott Crystal Gateway Hotel in Arlington VA (just outside of Washington, DC). Visit the Convention 2017 web site for more information and to register. Learn also about pre/post-convention activities and activities for spouses. Regional subsidies will be subtracted when registering. Your club may also have a subsidy. Meet great people, hear interesting speakers and experience the ruach and the camaraderie. The cost of attending the convention is $1,296. However, your NER region will be offering subsidies that will be automatically applied during on-line registration. For first timers the discount is $750 and for returnees it's $350. Note that your individual clubs may be offering additional subsidies. our region has selected Stephen Baum for his years of service as a Men's club leader and shul president (Temple Aliyah Needham) and a regional board member. He is a regular at TheRetreat, which he has chaired, and started it's Tikvah program fundraiser. And then there is Tour de Shuls! Stephen came up with the idea and coined the name. Join us as we honor Stephen! Whether or not you are going to Convention, please place an ad in the Tribute Journal in Stephen's honor. Placing an ad honors Stephen and helps FJMC continue to provide innovative programs and materials, leadership development training, and community services to Men's clubs and their members. 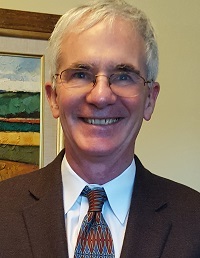 Additionally, there will be a tribute at Convention to Rabbi Chuck Simon, FJMC Executive Director, who is retiring after over 35 years of service to FJMC. Those who know and have worked with Chuck will want to consider attending to join your fellow Men's Club brothers in a salute to his incredible accomplishments in FJMC and the Conservative Movement.